While we are figuring out which of MyBlogU features will end up being your favorite ones, we keep brainstorming and adding new things to the platform. 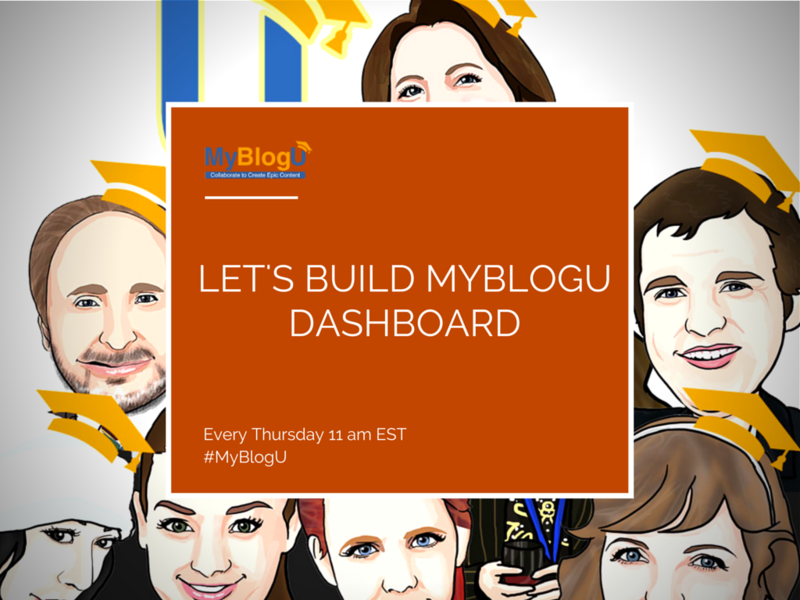 “My Dashboard” is the centralized place on the site bringing you all the updates for the day (or since your last login) and providing you with your actual to-do list. We’ll be adding more features to it as they come but here’s what we have so far. 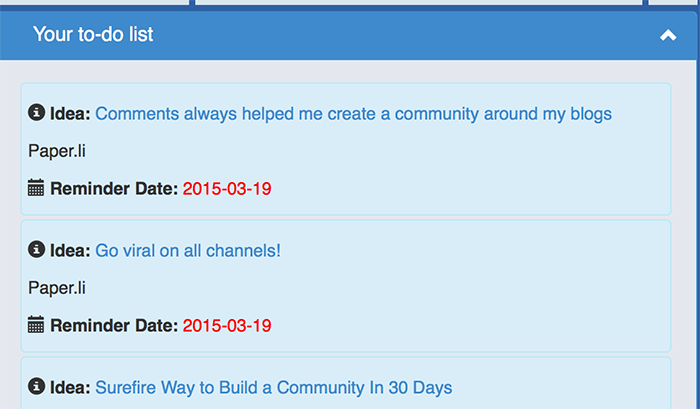 Currently the forum is not added here, so you won’t see new threads or posts from the forum. This box randomly rotates some tips you can try when at MyBlogU. For example, one day it will give you an idea to upload your Media in the gallery and next day it would remind you of our Udemy course. This is the collection of links to your projects with quick links of where to add a new one. We may add more quick links here and call that box differently, so we’d love your thoughts! MyBlogU Brainstorms section is also your writing to-do manager. You can add any idea to your to-do list and we’ll send you a reminder on the day of what you were going to do with the idea. So in case you love the idea but you are too busy at this very moment, you can drop yourself a quick reminder. Or you want to use the idea in the future after a certain event or live publication. There can be different reminder you can set up. Please do help make this feature better! It has a long way to go! We’d love to make it more useful but we don’t want to over-clutter it. Thanks for building a better place on the Internet with us!